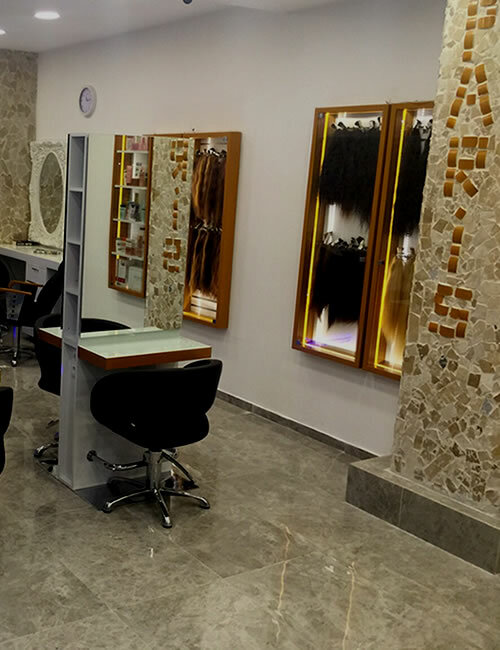 As Atrium Paris Haridresser’s, we have been at your service in terms of hair welding services for our esteemed customers since 1989. Founded in Ataköy Atrium Mall, our saloon was established by hair design expert Bülent Yılmaz. Since our first day, our goal has been to offer all innovations in terms of hair care and hair itself at all times with our professional staff. We ensure that you choose your hairstyle freely by offering hair welding services to you such as bead hair welding, keratin hair welding and ring hair welding. When you benefit from our 100% guaranteed hair welding applications, you can have new hair that will look like a part of your old hair. Our hygiene, quality and customer satisfaction oriented hair designs are also applied by taking your needs and personal choices into account. Our expert hair welding team helps you to create the most appropriate welded hair models for your face lines and style. We ensure that you have a natural look by using 100% human hair in our hair extension and press stud models which are among our services that we offer to you by taking advantage of the latest technology of our day. Our goal of the hair models that we prepare uniquely for each person is to have you leaving our saloon with a smile on your face within an aesthetic perception. If you are looking for chic hair welding models that you can use naturally for a ling time, you are on the right spot! You can move your style by choosing the most appropriate one for you among our services that we offer to you with our expert staff by taking advantage of the latest technology. You can have natural hair after using this service that we offer to ladies that want to have their hair longer using natural methods. We also offer you bead welding hair applications that we frequently apply among our hair welding methods in our salon. The most preferred method in the world, micro hair welding applications are done by melting transparent capsule granules. Thanks to micro capsule welding applications that we perform by using latest technology, you can change the mood of your hair. Also named as cold welding, micro gel welding applications are performed in our salon to you, our esteemed customers in a professional manner. You can have welding applications performed with keratin, composed of protein and aminoacide that naturally exist in human body. You can see photographs of all hair welding types that we performed in our salon professionally. You can see all details of the hair welding applications performed by us in our photo gallery. We prefer healthy and high-quality brands for women. You can contact us by the contact information below to have information, price and appointment in our salon.